There are applications for travel, food ordering, online shopping, reading eBooks, watching movies, playing games, keeping in touch with friends… it seems there is an app for just about anything today! 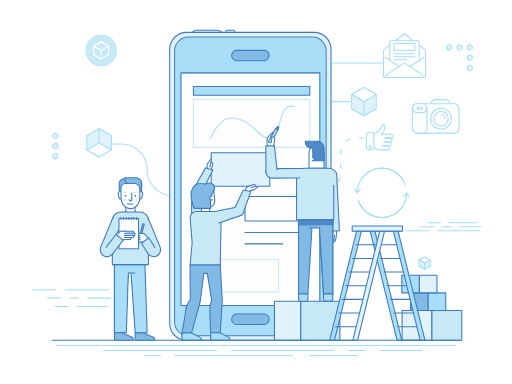 Given this proliferation of apps, one of the wisest choices that businesses and app developers can make is to enlist the help of mobile app testing. This sort of mobile testing is necessary to ensure stability, usability and consistency of an app that will used across various different platforms. Is your app secure, scalable, accessible, functional and useful? Does it need changes or tweaks? Since most apps will be used on handheld as well as desktop devices across various different operating systems, their testing has to be thorough and exhaustive. The huge number of configurations, range of OS platforms, all the new and old devices that have to be cross checked; all of these present massive challenges for testers. QA companies typically carry out manual tests using actual devices of different types as well as tools such as emulators and simulators. An emulator is a sort of mobile automation testing tool; virtual testing software that mimics the device to be tested. Similar to an emulator but with some differences is the simulator platform for mobile app testing. Simulators are also testing tools that create (simulate) a machine version of a mobile device on a computer. Emulators and simulators help create virtual testing conditions for various different devices so that testers do not have to manually test out many different devices. These mobile automation testing programmes help save time and money over manual testing and also ease the logistical issues of sourcing and separately testing apps on various different devices and operating systems. The simulator will try to replicate the internal working of a device as closely as possible, and is more useful for tracking device behaviours such as making transactions, calculations and so on. On the other hand, emulators mimic and create outer conditions similar to the way that a device would behave; they are more useful when testers have to examine the firmware, internal hardware of a device. In some ways simulators are more sophisticated than emulators because they are written in high level languages. Emulators use machine level assembly languages which work for different types of mobile testing. However emulators are more efficient than simulators when it comes to debugging process. Some app testers prefer emulators because they are mimic the complete original software more faithfully than simulators, which may be able to simulate the original software only partially. Mobile app testing typically uses simulators or emulators depending upon the type of app to be tested. In most cases testing on real devices is must so that your app is able to offer the best and most glitch free user experience.